Most of the time I am a pretty optimistic and resilient person. 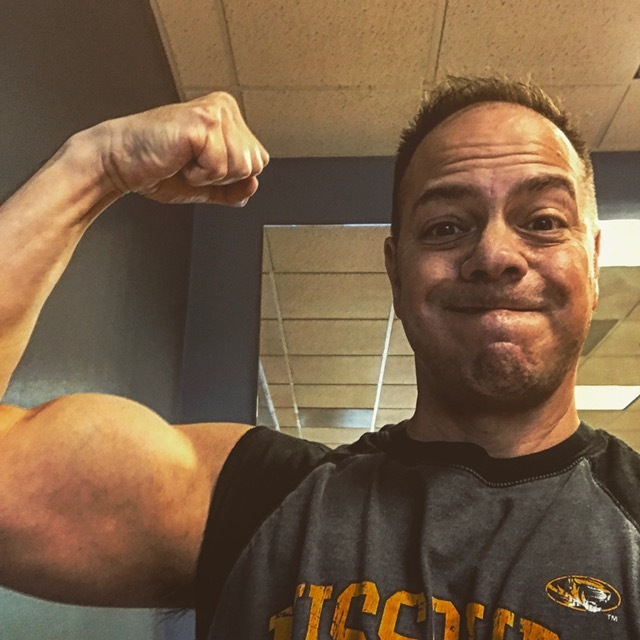 I bounce back from setbacks fairly quickly and usually see the good side of life even when bad things happen. A number of years ago I was going through a tough time. I was pretty down and it was more than a little difficult to get myself back on the upswing. It was during this time that I learned of the benefits of writing in a journal. For a period I wrote in my journal everyday. It was pretty focused on what had me down but I also included other things. Over time I wrote in my journal less frequently and really expanded to write about different things happening in my life. I also used it to set my goals (which I still do), accomplishments, setbacks, what’s happening with other people in my life, etc. Even thought it’s been 7 years since I first wrote in a journal I still do it several times a week. It was hugely beneficial to me. I felt this might be worth sharing the benefits of writing in a journal. Okay let’s start with one of my favorites, goals. When you actually write down your goals it goes a long way towards helping you achieve them. When you write your goals you have a plan you can go back and refer to. Would you build a new house without blueprints? Of course not. Isn’t your life worth having a blue print for? Write those goals down in your journal. Another one of the benefits of writing in a journal is that it will improve your discipline. When you get into the habit of writing in your journal 3 days a week (or whatever) you are setting aside the 15 minutes or so to accomplish it. After a while it becomes a habit. Habits that are formed in one area of your life tend to wind up spreading to others as well. 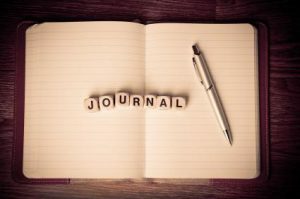 Writing in a journal helps you heal mentally and emotionally. When you’ve got something in your mind that you can’t get rid of it’s helpful when you write it down. Writing it down helps you process it. A lot of times stress comes from emotional blockages. When you write things down you release this blockage to a degree, helping you lose some of the stress from what you’ve been thinking and feeling. When you write in a journal it also helps you boost your self-confidence. As you write about things you’ve accomplished or good things going on in your life it’s like giving yourself a pat on the back. When you write it down and relive it in your head it gives you a boost of feel good endorphins and dopamine. You get to relive all the good stuff you do! Journaling helps you keep things in perspective. Most of the time when we are neck deep in some problem or struggle we only see it from our point of view. Which makes sense, we are the ones living it. Have you ever done that trick “what would my best friend say?”. You know, the best friend that tells it like it is? Many times when we get an external point of view we get an obvious answer to our problem that we can’t see because we are surrounded by all the emotion of it. Journaling helps you see from this outside perspective. Another benefit of writing in a journal is helping you see patterns. When I was writing in my journal about every other day I began to notice patterns that I was never aware of before. I used to think certain things that happened in my life were isolated incidents. After I began writing it down for a period of several years I noticed numerous negative patterns that would have never came to light otherwise. Eye opening for sure. 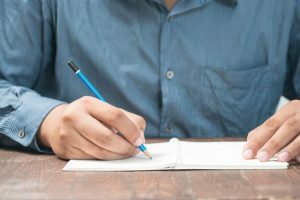 Writing in your journal will help your emotional intelligence. Emotional intelligence is the ability to perceive and manage yours and others emotions. Having a higher EQ is a great advantage in life. When you journal you have an outlet for processing your emotions and it helps you increase your self-awareness. As you become more self-aware you develop better empathy for others to help you understand what they are feeling. This goes a long way towards having deeper connections in your life. It can help you improve your communication skills. I haven’t done it yet but I need to soon – write a post on the power of communication. So many people don’t possess the ability to communicate clearly. It is simply amazing to me. When you write in your journal you have to translate your thoughts into words on paper. That helps you through the process of translating your thoughts which will help you communicate better. When you write in a journal you pay attention to your own agenda. Think about how you live life day to day. It’s running through a series of “to do’s” in your life and trying to get as much done as possible. These are usually goals for someone else (your boss at work, a clean house for whoever you live with, laundry for your kids). When you have a few minutes of downtime you zone on Facebook or another dumb game on your phone. When you write in a journal you are addressing what is important to YOU. Including things you want to do – you are paying attention to your own agenda. To you own hopes and dreams. It’s all about YOU. Writing in a journal helps reduce stress. I speak from personal experience on this one. When I have a problem I keep turning over in my head it helps a ton if I write about it in my journal. After I write it down it seems to leave my head space for the most part. I still think about whatever problem it is, I just don’t obsess over it. Plus when I write in my journal many times it will help me come up with a solution. At the very least I feel like I’ve “gotten it out” and can take a deep breath afterwards. Like a lot of things in life it can take a lot of time or not much time at all. Personally I don’t think it takes much time and you get a lot of benefits for not a lot of time input. If you spend 15 minutes a day, 3 days a week for a total time investment of 45 minutes per week that’s not bad. For 45 minutes a week you get all the benefits we discussed above and then some. That’s a lot of benefits of writing in a journal for not much of a time trade off. If you ask me that’s getting a lot of value for the time spent. You get clarity on the vision in your life and a way to keep track of your goals, aspirations, and dreams so they don’t get lost in your daily life frenzy. When I first started writing in a journal years ago I had a lot on my mind and would journal up to 45 minutes a day. As time has gone on I sometimes go a week or two in between writing. In other words I spend significantly less time on it now than I did when I started. Bottom line, you don’t have to spend a ton of time on writing in a journal to see some great benefits. There’s some great articles out there about how great it is if you can write in your journal right after you wake up. Me? I need coffee first. Typically I write in my journal in the morning for 10-15 minutes at a clip 2-3 times a week. It’s after I’ve gotten established for my day and about to get rocking and rolling. I think it all depends on what works for you. Write in the morning, at lunch, in the evening, right before bed, whatever works! As we have discussed there are many benefits of writing in a journal. It doesn’t take a lot of time and you get a lot out of it. I think some people tend to think of writing in a journal like a “Dear Diary” type thing. In my opinion having a journal is an essential tool and exercise for keeping you focused on the life you want. Wow!, This post is really amazing and beautifully structured. All these you listed on this article are 100% correct. Writing things down in a journal like events, reminder, memories and so on has always been helpful and a great practice because it will help and remind you things that can easily slip off one’s mind. It will also help to set up goals and also help to know the strategy to achieve them. Thank you! I’m glad you enjoyed reading it! It is a great practice and one I’ve found to be very beneficial. Have a great day! Writing in a journal really has a lot of advantages for me. I bought “The Secret Gratitude Book”, which is designed to record your daily gratitude. Every time I’m feeling down, I try to find 10 things I am thankful for and 10 things I wish to happen in the near future and try to be thankful. I am even thankful for events that haven’t happened yet and act as if they already happened. This is how the law of attraction works and will lead to more events you can be thankful for. Plus, it reduces your stress level and makes you feel more calm. Thanks for sharing this post! I’m glad you enjoyed the article. I found many of the same benefits as you did. I continue to do it several times a week. Honestly it is great at helping reduce stress. I like your gratitude angle as well – that’s a wonderful idea. Thanks again! 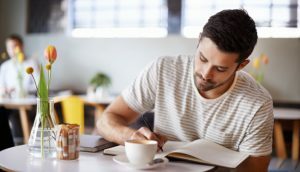 I agree with you a journal is one of the best things anyone can do for themselves; it is not a diary but you can always add your feelings when writing. I did this when I was first diagnosed with major depression and anxiety. My journals were a life saver back then and I was actually able to stop going to therapy. After that I just stopped writing them but thanks to you it might be a great idea to start a new one. Thank you so much for your comments! 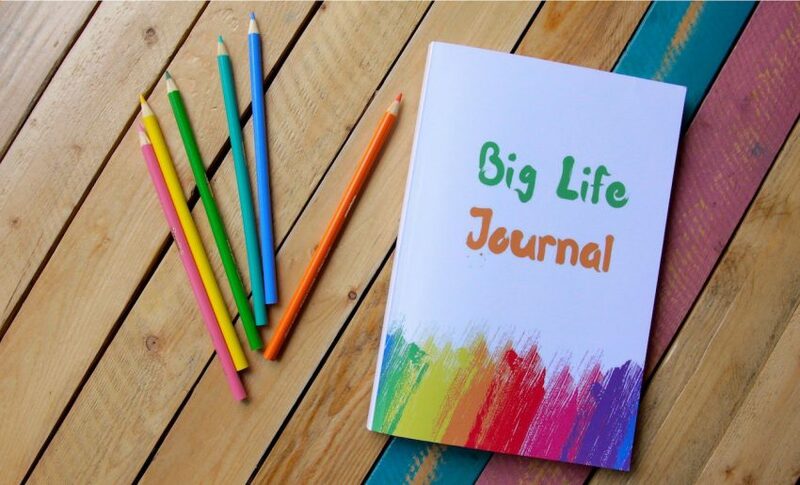 I am very happy to hear that you benefited from having a journal and that it helped with your depression and anxiety. As I mention in my post I still journal on a regular basis, helps me for sure. Thanks!